Like opening a portal into a dreamworld, Chas Smith’s music pulls the listener in immediately. The disc contains two sidelong tracks and a shorter ten minute closer, all explorations in electroacoustic minimalism and adventurous ambient dronescapes. His main instrument is steel guitar, but you won’t hear much of it here except when heavily processed beyond recognition. Likewise the flutes, zither, voices, and an array of home-made instruments all contributing to the maelstrom of sound that swirls and churns at several levels in densely layered clusters that morph slowly as they evolve. Less than five minutes into the opening title cut, the sound begins to drift off into a microtonal world, almost as if someone is carefully manipulating the tape speed for maximum disorienting effect. And who would have thought that music could be made from the sounds of jet planes as heard from the ground? But that’s exactly where we go on the second track, with multiple jet planes processed through notch filters and overlaid into a thick blanket of sonic peril, sounding much like the fabric that holds the universe together coming unglued. In time the planes are joined by other mysterious sonic events and textures as the piece evolves, unfolds, and eventually transforms into something more peaceful and serene. 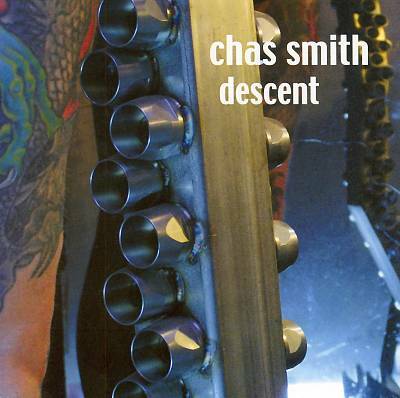 While much of the production here amounts to smoke and mirrors, it’s not the processes that are important, but instead the end result, and on that level Smith succeeds brilliantly.